Doesn’t it happen too often that while scrolling through your Facebook feed, you come across a really funny meme or a video of kittens and want to instantly share it with your friends through WhatsApp? Of course, jumping between apps is a pain, and Facebook is looking to end this with a new dedicated button. Right now you can only share pictures to other apps, while sharing posts and videos requires you to copy the link and send it manually. Even sharing pictures is a multi-step process, and this should get a lot easier with the “Send in WhatsApp”, as seen in a recently shared screenshot. As per Matt Navarra, who was previously associated with The Next Web, the Facebook app might soon receive an option to share posts directly on WhatsApp using the purported button. Navarra credits Indian developer Pritom Mazumdar for the tip. 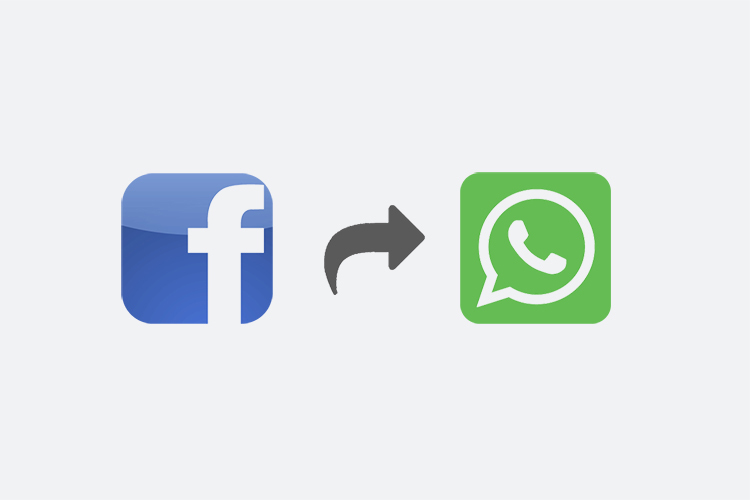 Facebook's share button now lets you send a post to WhatsApp! The button is analogous to the “Send in Messenger” button which is used to share posts directly with friends through the Facebook Messenger app. However, it is not clear whether this feature has already arrived for certain users or was tipped to be coming soon by Mazumdar. We were unable to spot the feature on both Android and iOS apps including the latest beta version of Facebook on Android. Since the developer is also from India, it is unlikely that the feature is region-specific. Based on the color scheme, the feature appears to be a part of the Android app. We can expect that this is from an unreleased or a restricted test version for developers. It is also possible that the feature is rolling out to select users and might reach others after sufficient testing. The feature, when rolled out to a wider demographic will not only make sharing on WhatsApp easier but might also help Facebook in getting closer to unity among its platforms. With this, the company might also use some insights about the kind of posts that get most shares outside the platform and might use this insight to gain some revenue. This development might also pave a way for the ability to preview Facebook posts within WhatsApp, just like the recent addition of native Facebook and Instagram video playback.